While Cyberpunk 2077 won't launch with multiplayer, it could be added to the game at a later date. Two job listings on the CD Projekt Red website have fans speculating over the possible inclusion of multiplayer components in Cyberpunk 2077. The job listings include one for a network programmer whose responsibilities center around designing and implementing network layers in Redngine (the developer’s in-house engine). The other job listing is for a senior technology programmer whose responsibilities include design, optimization, implementation, and maintenance of various systems in CD Projekt Red titles. As expected, no games have been directly tied to either of these positions. However, it stands to reason that the two new hires may be assigned work on Cyberpunk 2077. Doing what, exactly? Well, it’s quite possible the aforementioned positions include work on multiplayer features in Cyberpunk 2077. According to the Cyberpunk 2077 team, the game will be single player at launch but may expand to include multiplayer in the future. So, while multiplayer hasn’t been touched upon too much in regards to Cyberpunk 2077, CD Projekt Red could be expanding the team in effort to make fans happy by adding multiplayer components to the game. The extent of those multiplayer features (should speculation prove true) is anyone’s guess at this point. 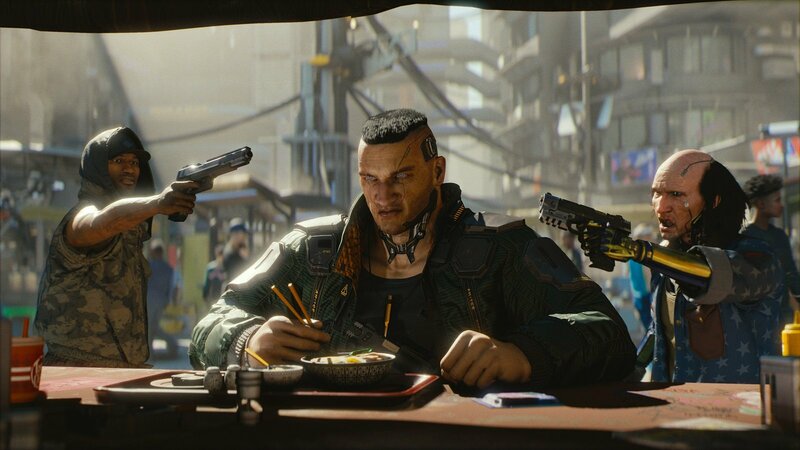 When it’s released for PS4, Xbox One, and PC, Cyberpunk 2077 will play as a first-person RPG where players are able to progress through the game however they choose. Cyberpunk 2077 will boast a massive open world, and judging by the specs of the PC running the game’s demo at E3 2018, it’ll have no shortage of elaborate features for players to enjoy. What do you think of the job listings at CD Projekt Red? Do you think they’re secretly working on multiplayer for Cyberpunk 2077? Let us know your thoughts down in the comments below!